Surgical and nonsurgical cosmetic treatments that create a youthful facial profile. Rhinoplasty surgery augments the nose to a more symmetrical shape and position. A cosmetic procedure that tightens loose skin for an elevated and fresh appearance. Facial fat grafting uses lipo to remove fat from one area of the body to areas of the face that are lacking in volume to create a full, youthful look. Nonsurgical skin treatments that improve skin texture, tone, acne, and unsightly wrinkles. Aesthetic procedures that enhance the skin or reduce unwanted fat pockets in the face. Dr. Sadati is board certified in both facial plastic and reconstructive surgery. He is also accredited in otolaryngology/head and neck surgery by AOBOO and a diplomat for the American Board of Cosmetic Surgery. 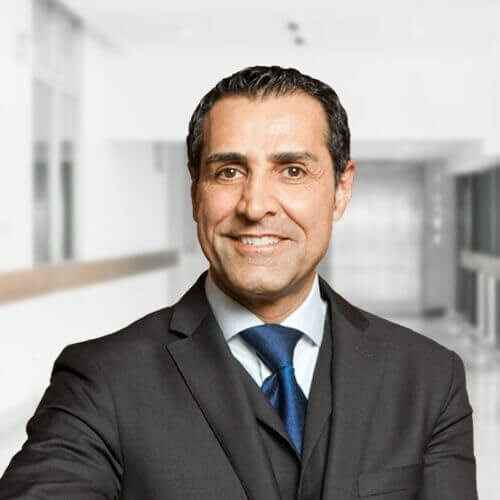 With his breadth of experience and thousands of cosmetic procedures performed, he has been involved in creating and certifying new techniques leading to clinical trials and fellow cosmetic surgeons adopting these procedures. 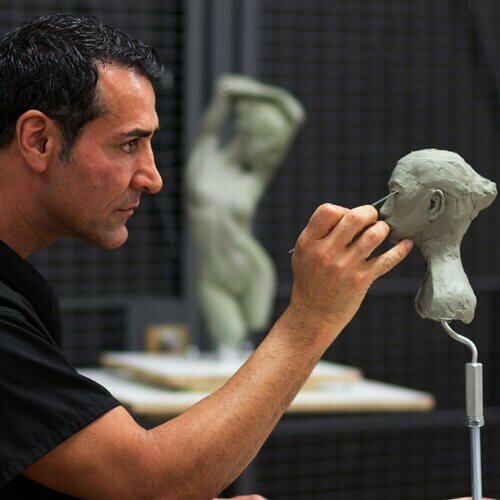 Along with years of study and training, Dr. Sadati has experience as a painter and sculptor, which embodies his artistic eye and appreciation of aesthetic harmony. He believes that this is key to creating beautiful, natural-looking results in cosmetic surgery. Dr. Sadati has been voted by his patients: “ The Best Cosmetic Surgeon” in OC register 3 years in a row, “ Top Plastic Surgeon in Orange County” in Locale magazine, and received “ Best Overall Facial Rejuvenation” award at the national Aesthetic Show by his peers. He has appeared in “the Doctors” show on CBS. 10 stars if that was an option. My results are exactly what I wanted. I knew Dr. Sadati was my surgeon of choice at my first consultation. He spent time meticulously describing the pre, during, post events which made me believe he would be equally detailed and meticulous when it came to my procedure (neck and lower face lift, upper bleph). My healing was fast but I committed to ~everything~ that was suggested. I never needed a pain pill - not even a Tylenol. The experience with Dr. Sadati was impeccable! The surgery he performed on me was septo-rhinoplasty along with otoplasty and I am completely pleased with the results. Throughout the whole process he gave me confidence that he was the right doctor for the surgery and he delivered. 100% recommend Dr. Sadati for your plastic surgery needs. Impeccable Surgeon - The experience with Dr. Sadati was impeccable! The surgery he performed on me was septo-rhinoplasty along with otoplasty and I am completely pleased with the results. Throughout the whole process he gave me confidence that he was the right doctor for the surgery and he delivered. 100% recommend Dr. Sadati for your plastic surgery needs. As a woman over the age of 60 in a life transition, I wanted to do something for myself. I found Dr. Sadati after doing months of research. Having been the recipient of an extraordinary facelift by Dr. Sadati, I am eager to let others know of the natural, youthful, and yes, beautiful work of this immensely skilled surgeon. Most importantly, I want to say as strongly as I can, he does this procedure without general anesthesia. This procedure requires a minimal recuperation time. Dr. Sadati is a doctor of such high standard of integrity and perfection. If any part of his work is not in line with perfection, he will remedy it. 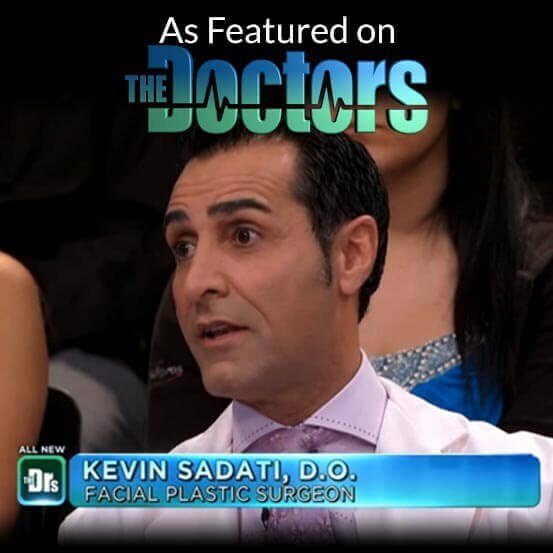 I believe Dr. Kevin Sadati is the best plastic surgeon available. Thank you Dr. Sadati.